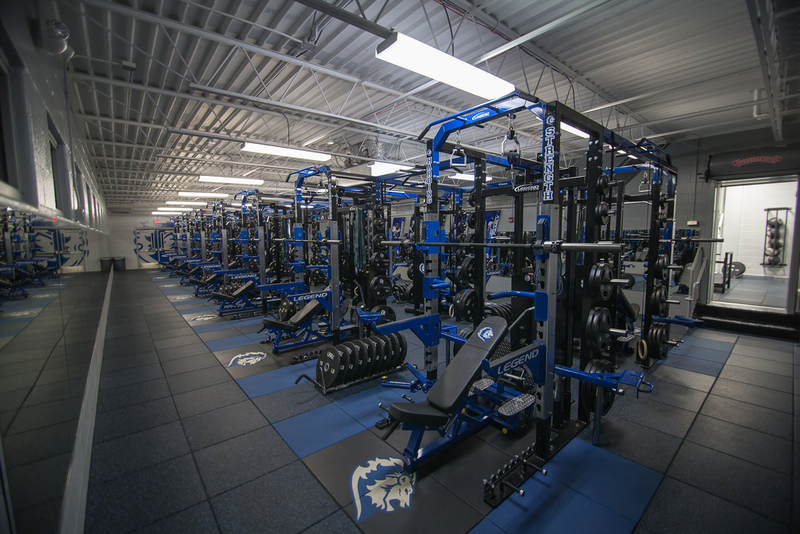 Free your imagination and create a unique and innovative message to enhance your gym flooring. Display your business identity proudly with a customized logo. Support your team with their colors and emblems. The possibilities are endless with our multitude of color granules to choose from, you can create a variety of unique color combinations. 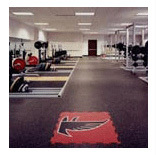 Design a functional logo mat for dressing rooms and training facilities outlining a game strategy planning surface. Custom inlaid lettering will emphasize a message such as these phrases: PLEASE REPLACE WEIGHTS or DO NOT DROP WEIGHTS. Put these or other messages in strategic locations throughout your facility.